Recently, Chicago was ranked as the most bike-friendly city in the country; but bikers aren’t the only ones benefiting from living in the Windy City. 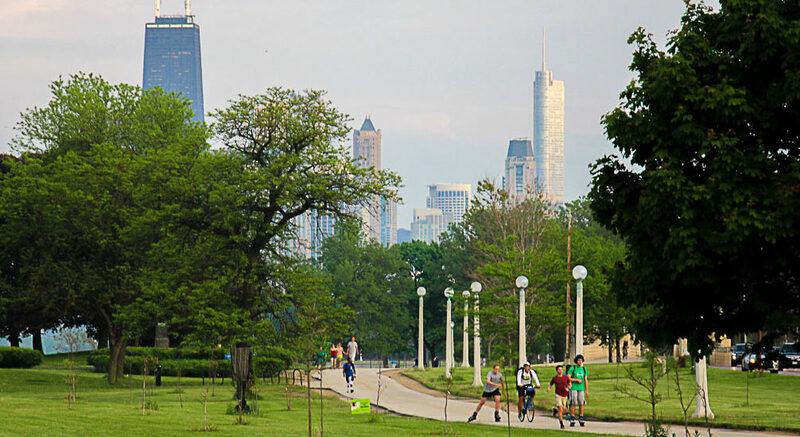 Tuesday, a report by wellness company Gallup and Healthways, stated that due to Chicago’s bike paths, walkability, public transit and parks make it third best community for active living in the United States, The Chicago Tribune reports. 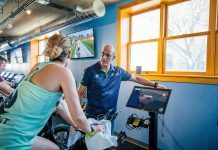 The report ranked 48 metropolitan areas based on accessibility to such amenities, and those in the top five tend to have better measures of health than other areas; these measures include healthy eating, blood pressure, obesity, depression and smoking. Many of these were inversely correlated, such as the more accessible parks and bike routes were, the rates of obesity and diabetes were lower in that area. “If you have the bike paths, if you can do what you want to do with your life easily by walking around as opposed to having to get into a car, if you have a lot of green space … these are things that are going to improve your probability of success,” Dan Witters, research director for the Gallup-Healthways Well-Being Index, tells the Tribune. Although Janna Simon, a program manager at the Illinois Public Health Institute, isn’t surprised to hear the news, she believes there’s still room for improvement for pedestrians and bikers in Chicago. After five cyclists have already been killed from motor accidents this year, the city’s “Vision Zero” plan has been made a focus. Simon also believes that accessibility to grocery stores, healthy foods and health care can be improved in areas of Chicago. But, Simon attributes programs such as Divvy and Loop Link to the city’s recent recognition in active-living. Ranked above Chicago were Boston and San Francisco, and the bottom three cities were Indianapolis, Oklahoma City and Fort Wayne, Ind. In 2015, the same company ranked Chicago 67th out of 190 communities for resident’s health and energy.